DO I NEED A PORTABLE RESTROOM ON MY JOB SITE? HOW FREQUENT IS MY PORTABLE SERVICED? 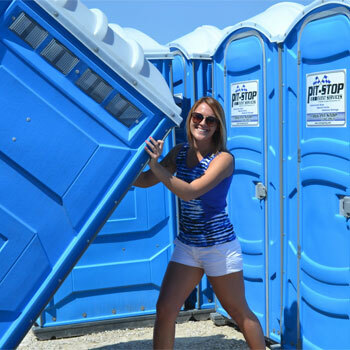 Weekly service is provided for all portable restrooms rented longer than a one-week period. Additional services are available for an additional fee. For weekend events we typically deliver on a Thursday or Friday and pick up Monday or Tuesday. Depending on the number of units Saturday delivery may be available for an additional fee. WHAT ARE UNITS SUPPLIED WITH? All standard weekend event units are supplied with toilet paper and hand sanitizer. Upgrades are available to add sinks inside or outside units for an additional fee. However, construction units are only supplied with toilet paper unless a special request is made, additional rates may apply. To avoid additional delivery fees a two-week notice is preferred. HOW FAR IN ADVANCED DO I NEED TO RESERVE A TRAILER? Trailers are on first come first serve bases. Some trailers are rented out years in advance. It is advised that you get your order in as soon as possible. To ensure your trailer is booked a contract and deposit must be returned. We will provide you with the contract for you to sign. WHERE CAN I PLACE MY PORTABLE RESTROOM? Portables should be placed on a flat surface within 15 feet of drivable surface. This allows drivers to clean your restroom when needed. Units must also be placed further than 20 feet from where food is being prepared. CAN I RENT A UNIT IN WINTER? Yes, however only standard units are available during winter months due to freezing temperatures. CAN I RENT A TRAILER IN WINTER? Trailer 257 is the only restroom trailer rented out in winter to cold winter states. All other trailers are available but must be inside a heated building. If you live in a state where temperatures are above 40 degrees year round all trailers are available at any time.